Bangalore: Bajaj Auto, the leader in sports biking category presents the second season of the highly acclaimed Pulsar Festival of Speed in Bangalore. With the latest edition grown bigger, Pulsar fans will now get to experience, never like before excitement and thrill. The festival which has commenced from 26th February onwards in Gurugram, will give Pulsar customers an opportunity to indulge in professional lap racing on a track setup for the ultimate biking experience. 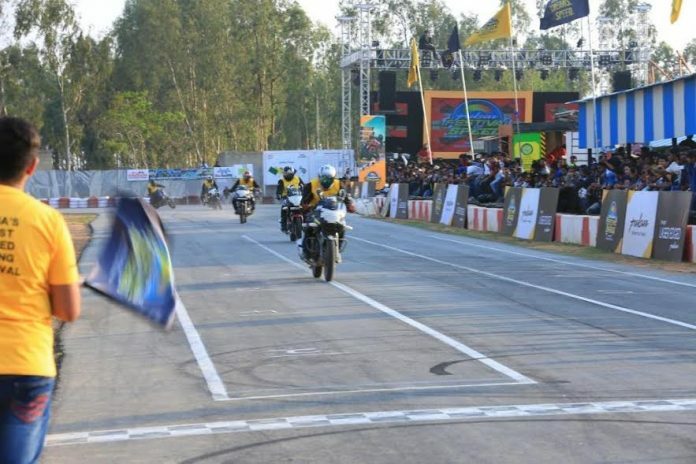 Touted as India’s first festival on speed biking, the event will be hosted in Gurugram on 26th February, Hyderabad on 5th March, Chennai on 11th March, Bangalore on 19th March, Aamby Valley for Pune & Mumbai on 2nd April, and finale at Coimbatore on 9th April providing sport biking thrill with intriguing track races and breath taking stunt shows. The Pulsar Festival of Speed is the ultimate youth festival in all respects with races, adventure and Music. It will be hosted at iconic locations in each city with race track set-up providing an opportunity for Pulsar fans to participate in lap racing and the chance to emerge as the ultimate champions of Festival of Speed. Separate races will be held for different variants of Pulsar viz. RS 200, NS & AS 200 and 220. The festival will be replete with fun and adventure entailing activities like stunt biking, dirt & drag racing, with the addition of exciting new activities like Combat zone, Race & Stunt clinics, DIY sessions and much more. To top it all, the Bangalore edition of the festival will also have India’s biggest Indie and Folk music sensation Raghu Dixit performing live. The festival of speed will invite Pulsar fans to register and compete in races conducted over laps and choose the 6 best racers in each city. The 36 winners will then compete in the Grand Finale on Kari Motor Speedway, Coimbatore in a face off to emerge as national winners. The National champions will be awarded with a total prize money of Rs 2.7 lakh.